I am somewhat of a car fanatic. Some may go so far as to call it an obsession but what would they know? I lust after beautiful cars, performance cars, luxury cars, and sometimes even just plain odd cars. And that’s just the modern ones. When it comes to classic cars there are an awful lot that I like but only a handful that I really want to own, generally from a very specific year with a very specific specification, sometimes even down to the colour. So here I am attempting to put together a list of the cars I hope to own during my lifetime. I’ve tried to keep it mildly realistic in terms of cost so, much as I may lust over it, you won’t find a Mercedes 300SL Gullwing on the list. All the prices I list below represent the particular model I desire in what appears to be very good condition and in the countries where they are most likely to be found. Not a classic you say? Maybe not but it was my first car and I had great fun driving it so it holds a special place in my heart and it’s going on the list. 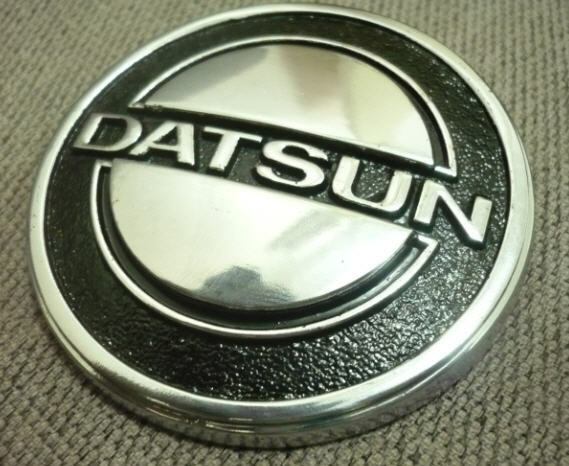 Actually I technically had 2 Datsun Sunny’s because I may or may not have accidentally crashed the first one, bought a second crashed one (at the other end), and used all the pieces to build a new car… The result was a beige 1980 Datsun Sunny GX in concours (almost) condition. Note that the GX was the top trim level in New Zealand. It even had an FM radio! My Datsun was a B310 series model which was the 4th generation of Sunny following the B10 of 1966, B110 and B210. These were all sold new in New Zealand and were very popular cars because they were light (970kgs! ), fuel efficient and vastly easier and more involving to drive than the competition, most of which was English. Think Vauxhall Viva and you’ll know what I mean… All Sunny’s were rear-wheel drive until the B310 after which they switched to front wheel drive. This change had an adverse effect on the handling so, if you’re hankering for a Sunny, the B310 is the one to get. 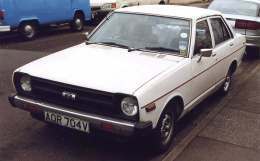 Mine had a 1.2litre (A12) petrol engine which means that in other markets such as Japan it would have been badged as a 120Y and, very confusingly, in the US the B310 was sold as the Datsun 210. 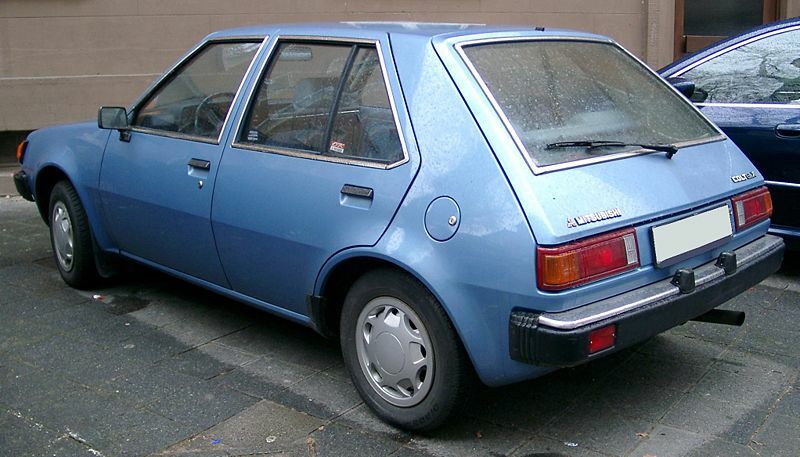 There was also a Datsun 310 sold in the US but that was a completely different model based on the Nissan Cherry. There was a facelift in October 1979 which replaced the round headlights with square ones and changed the grill. Mine was one of these facelifted ones. The 1.2litre version had a 4 speed manual gearbox which was light and precise. In addition to the 4-door sedan which I owned there was also a station wagon and a coupé version. The station wagon was the most utilitarian and the coupé was the most ugly. So I was quite happy with my sedan. The B310 was known for its high equipment levels and build quality at the time and it even had a relatively sophisticated suspension for its place in the market, a live rear axle with a coil spring four-link configuration. OK well it least it didn’t have leaf springs like the previous model (and current Chevy Corvettes…). As I’ve mentioned, it wasn’t a fast car (0-100kph times were best measured with a calendar) but once it was up and going you never needed to slow down because it was so chuckable. It was light, responsive and, I repeat, it loved to rev. I had this car when I was at high school and I lived with my parents out in the country in New Zealand. We lived 20kms from town on a winding hilly road and I remember distinctly that there were only 2 corners that I had to slow below 100kph for. I could be accused of looking back at this car through rose-tinted glasses as it was my first car and all. But it was a genuinely fun car to drive, something that has been lost in most post-70s small cheap cars. 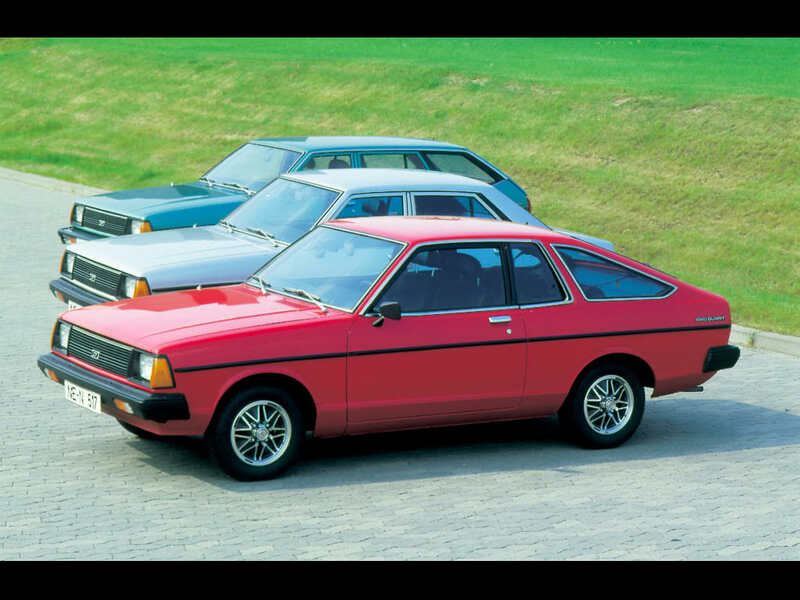 Case in point was the 1982 Mitsubishi Mirage (Colt in some markets) which we inherited from my grandmother at around the same time I had the Sunny. This was a front wheel drive hatchback (one of the first) and it was terrible. The steering was so heavy it was awful to drive in town. It didn’t handle well on the open road and the engine can most kindly be described as sluggish. It absolutely refused to rev and my father had to continually tune it just to keep it running. If I remember correctly it could barely manage 120kph most of the time whilst my older Datsun could happily do 150kph with a tail wind and a pinch of fairy dust. So there’s my direct comparison of two very similar cars from the same era. One great, one crap. Prices: Around NZ$3,000 in NZ. Very rare now due to rust issues. The Jensen Interceptor is a Grand Tourer built in the UK from 1966 to 1976 and has, if I might be permitted to say, one of, if not the, coolest car names. The only models that come close in my opinion are the Aston Martin Vanquish, Lamborghini Diablo and Rolls Royce Phantom. Whilst not quite in the same league as these other models the Jensen was an expensive, stylish, luxury cruiser much favoured by the rich and famous in the 1960s. Princess Anne had one as did Farah Fawcett, Cher, and Jack Nicklaus. A contributor to its desirability in later life was a starring role in six “The Saint” movies where it was driven by Simon Templar. The Interceptor initially had a 6.3litre Chrysler V8 which grew to 7.2litres in 1971. From 1971 to 1973 an SP (Six Pack) edition was offered featuring three twin-barrel Holley carburetors in the classic Chrysler “six-pack” configuration. This increased power from the standard 220hp up to 385hp on a few of the cars. Only 232 SP models were produced. 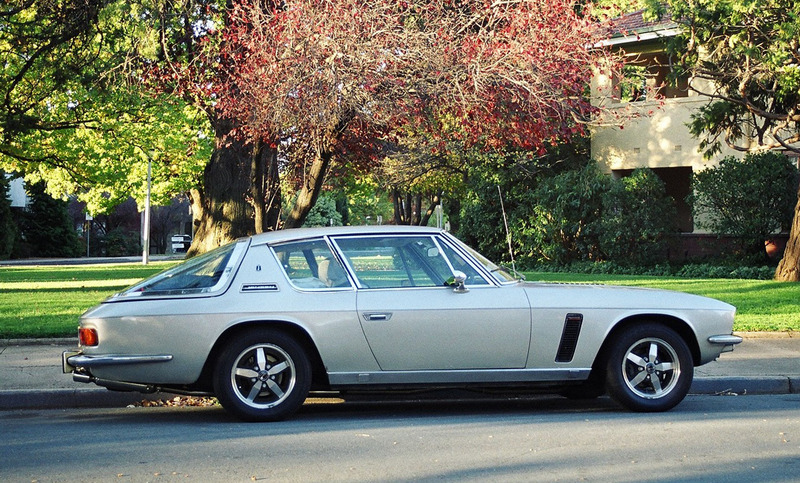 The Interceptor was hand-built and very expensive (US$16,000 in 1976, double the price of a Corvette!) but the owners wanted for nothing. 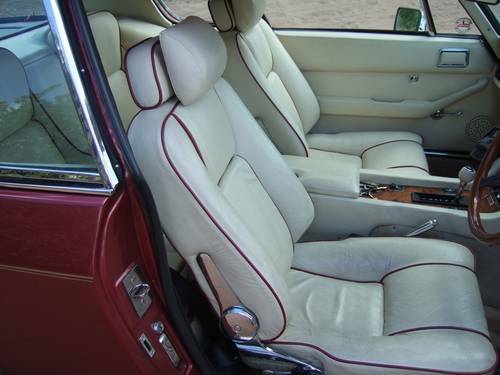 Like a Rolls Royce or Bentley of the time the Interceptor had real wool carpeting, full leather interior (which required the hides of 7 cows! 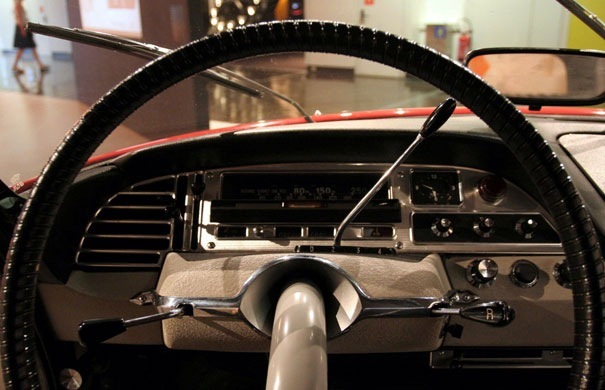 ), rear window defogger, and whilst early cars used vinyl or plastic on the dash, later cars had full wood-and-leather dashboards. Except for a few early cars, every car had air conditioning and power windows standard. We take these features for granted today, but they were rare in 1966. The most distinctive feature of an Interceptor is undoubtedly its large curved rear windscreen that was also the tailgate. It’s certainly a “love it or hate it” feature but I love it. And it gave the car a wonderful graceful swooping shape. In addition to the regular Interceptors there was an FF edition from 1967 which was four wheel drive and included anti-lock brakes and traction control (in 1967!). It was the first production car in the world to have ABS although it was a fully mechanical system unlike the more modern systems introduced on the likes of the Mercedes S-Class which were computerised. The FF was 100mm longer than the standard car to accommodate the four wheel drive system and can be recognised by 2 extra vents on the front flanks. Only 320 FF’s were produced. Introduced in 1974, a convertible version sold just 267 examples and, even rarer, a coupé version introduced in 1975 sold only 60 examples. 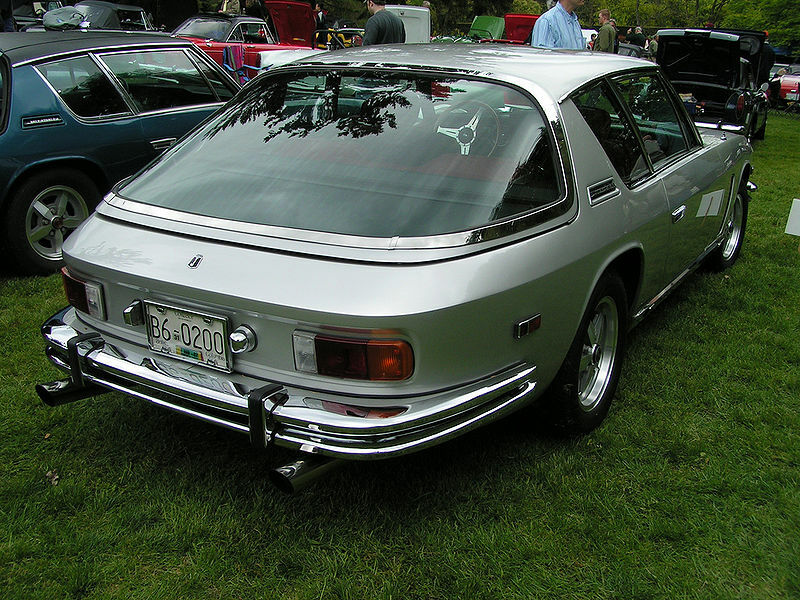 Jensen went bankrupt in 1976 marking the end of the Interceptor. 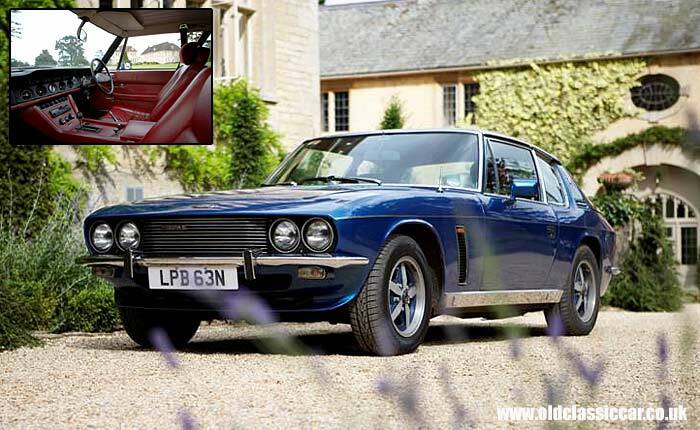 The best model seems to be the Interceptor Mk III (1971 – 76) “J” version which was the most luxurious. The Mk III included ventilated disc brakes and improved frontal styling as well as a number of other improvements. Prices: In the UK from around £13,000 (1973 Mk III J Series). In the US from around $10,000 although they are harder to find there. 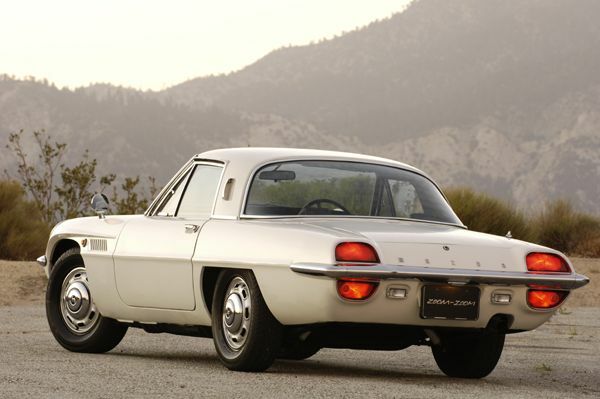 There have been four generations of Mazda Cosmo but the first was definitely the most distinctive and important. Over the 5 years of its production only 1,519 cars were built, 343 Series I and 1,176 Series II, making them rather rare, expensive and difficult to find. Along with the even more expensive Toyota 2000GT of the same era, the Cosmo was a revolutionary car from a Japanese automaker. The styling, while distinctly Japanese, obviously captures some key design elements from period classics such as the Jaguar E-Type and Alfa Romeos. 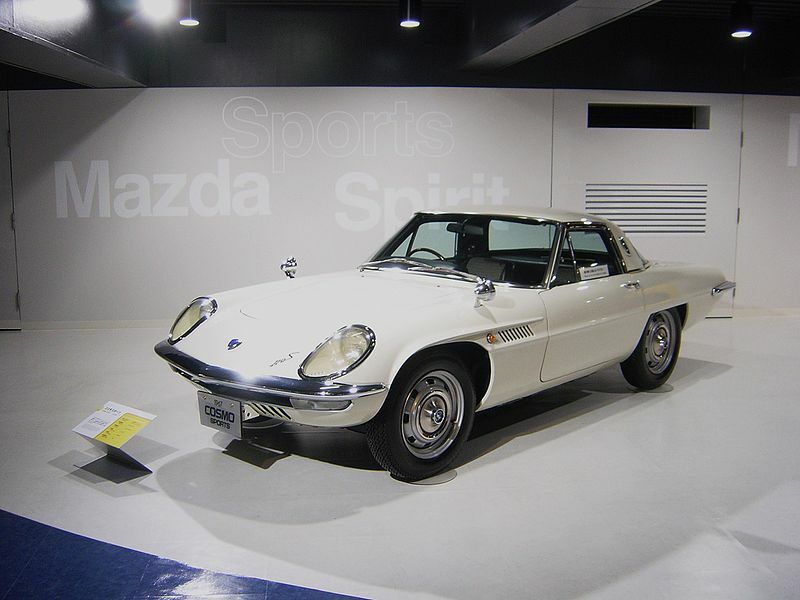 It was the first production car in the world to have a two-rotor Wankel engine, an engine that Mazda continue to refine and offer on their sports models. 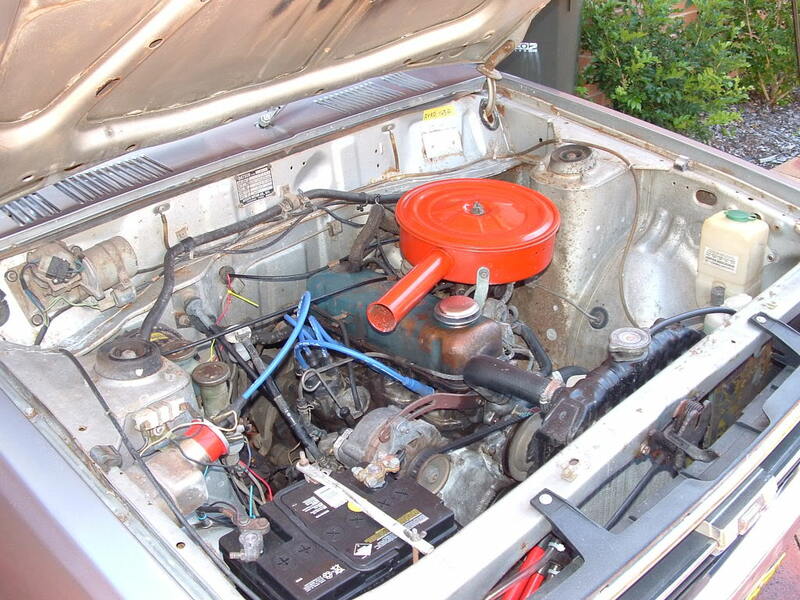 The engine technology was licensed from NSU and the Cosmo actually beat the Ro80 to market by a few months. These were not especially fast cars by today’s standards but in the 1960s they weren’t bad. The L10A two-rotor engine in the Series I produced 110hp at 7,000rpm and had a top speed of 185kph. Most of this turn of speed was due to it’s light weight rather than its power. It also had exceptional handling due to its de-Dion tuned suspension. The Series II gained slightly more power, 128hp, and could achieve 195kph, likely a terrifying experience in such a small car. The Series II is the more desirable (and attainable) model although they are still extremely scarce. Jay Leno has one which says something about the rarity of them. Prices: In Japan from around US$45,000. Very rarely for sale though. 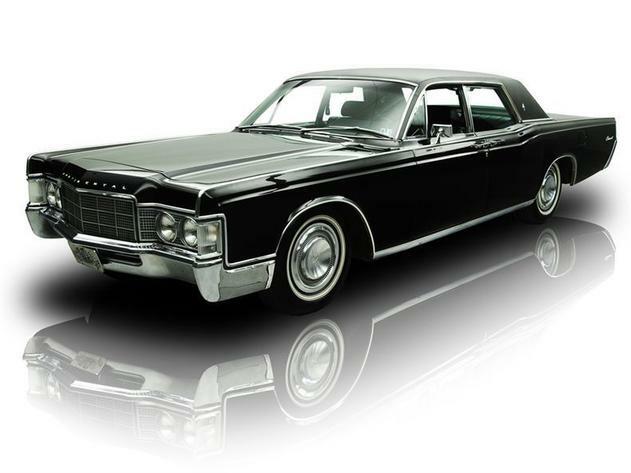 The third generation Continental was introduced in 1961 and, somewhat astonishingly, it was considered to be small to the extent that marketing materials included images of a woman parallel parking it with ease. It was 2 feet shorter than the previous Continental but still measured a gargantuan 5.6m long and over 2.0m wide. It was initially offered in 4-door convertible and 4-door pillared hardtop forms with the rear doors being rear-hinged, it’s most famous feature. 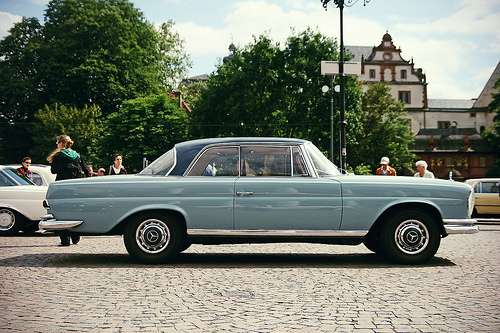 From 1966 a 2-door coupé was offered and sales of the 4-door convertible in particular dropped signficantly. 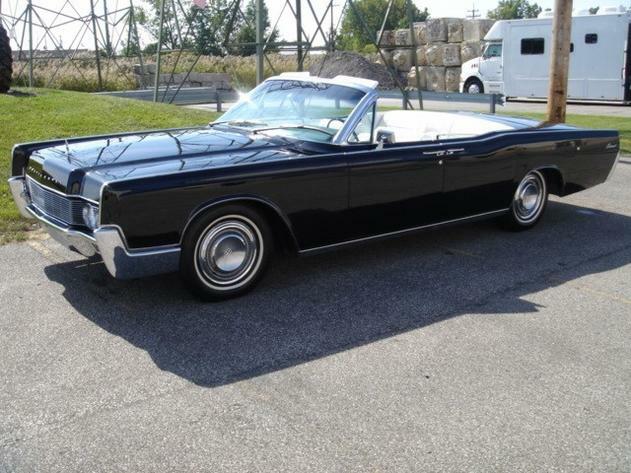 The particular model that I would most like to own is a post-1965 4-door convertible in triple black. 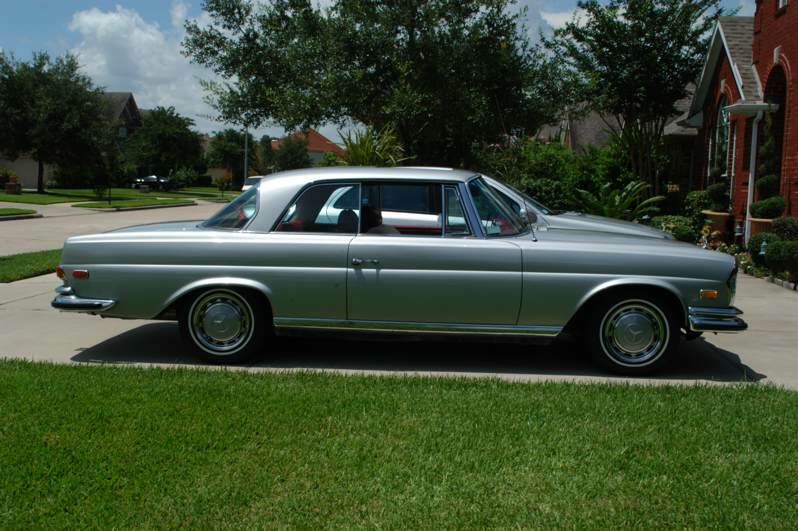 I would also happily settle for the 4-door pillared hard-top. The car was given a facelift in 1965 including a squared-off grill that I consider more handsome, and some detail changes to the lights. The car was also given front disc brakes, handy for stopping considering it weighs nearly 2,600 kilograms! 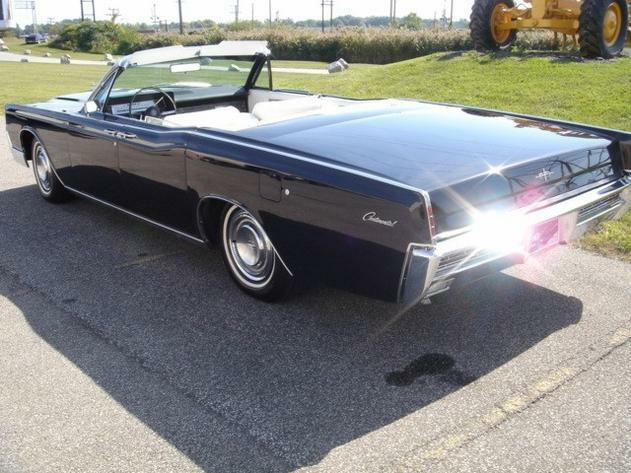 The enormous convertible roof was operated entirely by hydraulics that required two hydraulic pumps, one to operate the roof and one to operate the trunk lid. Prices: In Germany from around 19,900€. In the US from around $25,900. 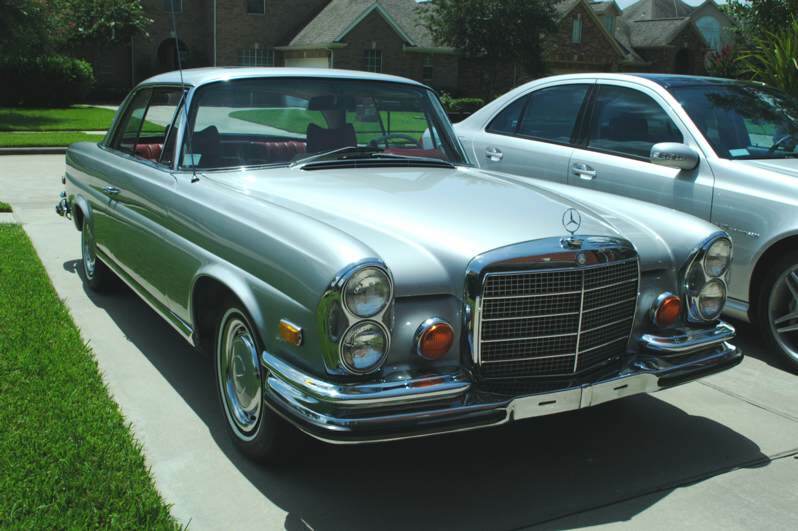 I have had an enduring love affair with classic Mercedes, not that I have ever had the pleasure of actually owning one. It’s odd that classic BMWs do not really interest me but modern BMWs do whilst with Mercedes it’s the opposite. Virtually none of their current product line interests me but there are many classic models I would love to own. 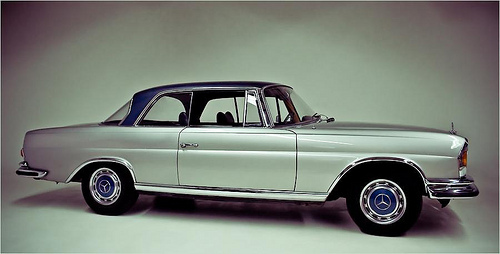 Top of that list though is the W111 coupé, first produced in 1961 as the 220SE (2.2l I6 engine), then from 1965 as the 250SE (2.5l I6 engine), then from 1967 as the 280SE (2.8l I6 engine), and finally from 1970-1972 as the 280SE 3.5 (3.5l V8 engine). There is apparently also a 300SE coupé (3.0l I6 engine) but I can’t find any reference material on it. Feel free to enlighten me via the comments. Prices: In Germany from around 19,900€. In the US from around $37,500. Well, what can I say? 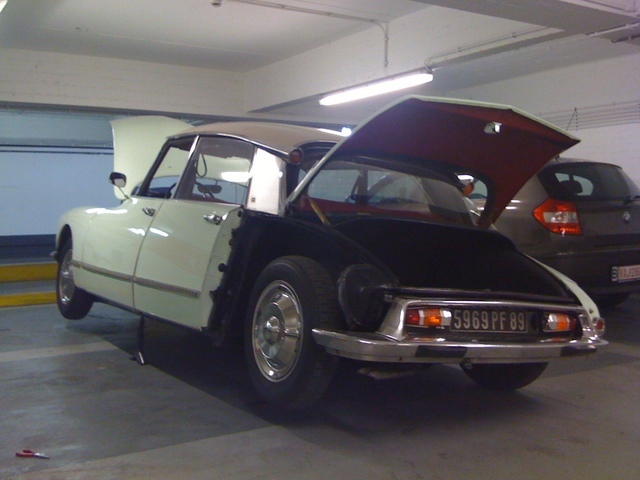 I’m sure many of you will have also read the Citroën DS restoration diatribe on this blog. 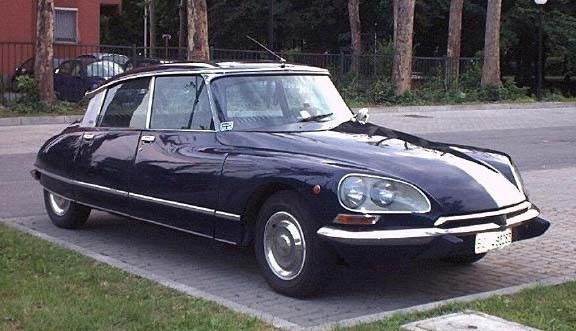 Yes, I’ve already bought a Citroën DS, my first classic car, and it hasn’t gone particularly well. Anyway, safe to say it hasn’t put me off entirely and I will not dwell on the problems here. 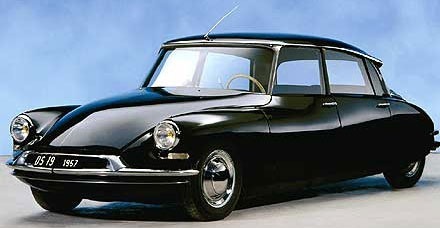 The Citroën DS was introduced at the Paris motorshow in 1955 and the public reaction was enormous. It looked like nothing else on earth and in fact, one motoring journalist wrote that it looked like it had fallen from the sky. 12,000 orders were made at the motorshow on the very first day and Citroën would go on to sell 1.5 million D-Series (DS and ID) models over the next 20 years. 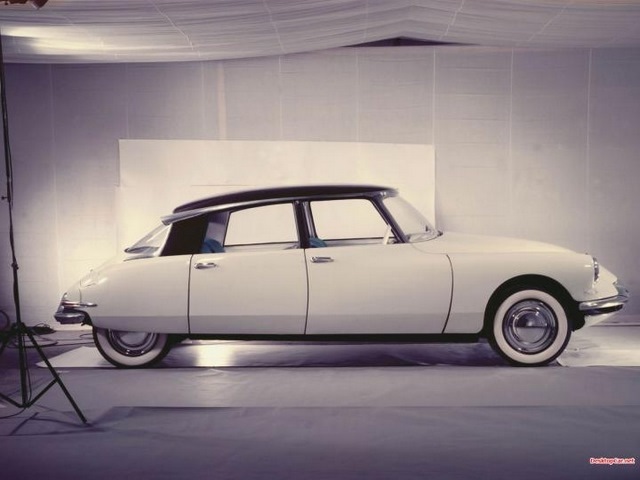 The DS was easily the most innovative and technologically advanced vehicle in the world when it was launched in 1955 and wasn’t really surpassed technically for a decade or more. 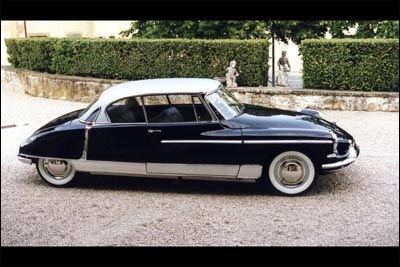 The DS had a futuristic aerodynamic shape and rode on hydropneumatic self-levelling suspension which allowed the car to be raised and lowered. It was the first car in the world with disc brakes, the first with a semi-automatic hydraulically controlled gearbox, and the first (from 1967) to be fitted with directional headlights that were also self-levelling. There were many changes to the DS over it’s 20 years in production. The originals until 1967 had separate free-standing headlights whilst the post-67 models changed to a twin headlight design behind glass cowls. From 1966 the hydraulic fluid is changed from the red LHS fluid to the green LHM fluid for reduced corrosiveness. There were also three different dashboards over the years. The first was a very simple straight lined affair. This was updated to a more curvaceous and attractive affair (the second dash) in 1961, which was followed from 1969 by the third and final dash, a very 70’s-style black plastic look. One of the innovative features of the DS was the fact that all body panels could be removed with a few bolts and didn’t form part of the structure of the car. It was possible in fact to drive the car with all of the body panels removed. In order to change the rear tyres it was actually necessary to remove the rear quarter panel, a feat that can be achieved by undoing only 1 bolt. Making use of the hydraulic suspension and metal stand the DS would actually lift it’s own wheel off the ground to be changed meaning there was no need to jack the car up. There were 3 very specific features that I wanted in my “perfect” DS and I was able to achieve 2 of them. Ideally I wanted a 1967 DS21 Pallas. The 1967 model has the old nose, the second dashboard and the new more reliable ‘green’ LHM hydraulic system. Unfortunately these cars are very highly sought after and I was unable to find one. So I ended up with a 1965 DS19 with the old nose, the second dashboard and the ‘red’ LHS hydraulic system. The car is painted blanc carrare and has a red fabric interior. It was built in Paris and first registered in France. Prices: In the Netherlands from around 8,000€. In the US from around $15,995. Whilst not technically a classic yet there is absolutely no doubt that the E46 M3 will become one, one of the few modern cars where this can be said. So I’m including it in my list. 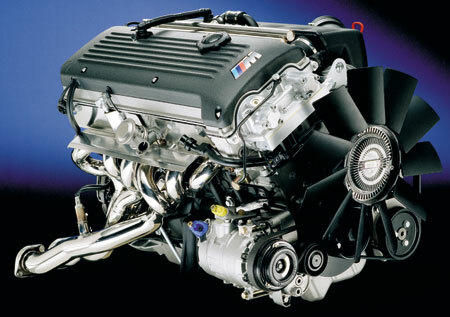 The E46 had the highest specific horsepower output per litre of any naturally aspirated engine at the time with 343bhp from a 3.2litre inline 6. In fact the only other car to produce more than 100bhp/litre without the aid of a turbo or supercharger was the Honda S2000. 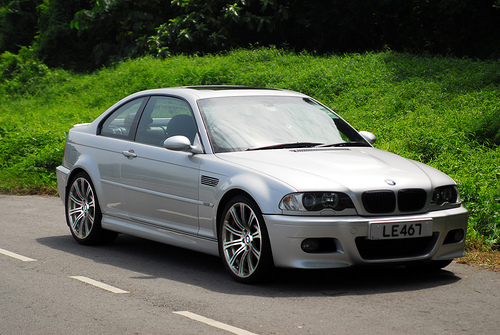 The E46 M3 does 0-100kph in less than 5 seconds in both manual and semi-automatic (SMG) form. SMG II, as installed on the E46, was a new version of the original SMG which had debuted on the E36 M3. It offered lightning fast gear changes and was thus slightly faster accelerating than the manual. However, particularly in the early models, they were prone to problems and eye-wateringly expensive to repair. I would prefer a manual on the basis that it is less demanding to maintain and offers a more involving drive. I apologise for the cheesy music in this video but the drifting is amazing and demonstrative of the M3’s abilities. The E46 M3 was particularly praised for its visceral and pure driving experience, a trait that many have commented is somewhat diluted in the larger, heavier, V8-powered E92 M3. The steering is extremely direct and the car has perfect 50:50 weight distribution like most BMW models helping to ensure that it was faster than much more powerful adversaries such as AMG Benzes whenever there was a corner or two involved. It also came standard with a limited slip differential (LSD). Very early examples of the S54 engine in the E46 up to February 2002 had a very serious problem with the connecting rods bearings failing leading to complete engine failure. A recall was issued and the standard warranty was increased on all of these models so there shouldn’t be any problems now. Nonetheless I would try to find a slightly later model. The ideal model is a 6 speed manual built between April 2003 and April 2005. 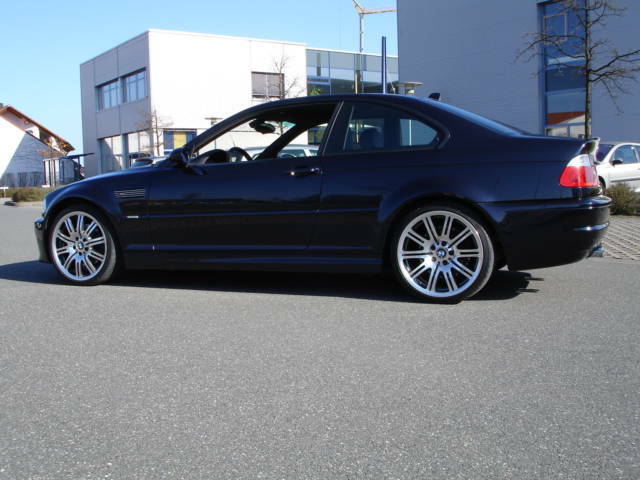 There was a very minor facelift in 2003 which included new LED tail-lights and the option of brushed aluminium trim. 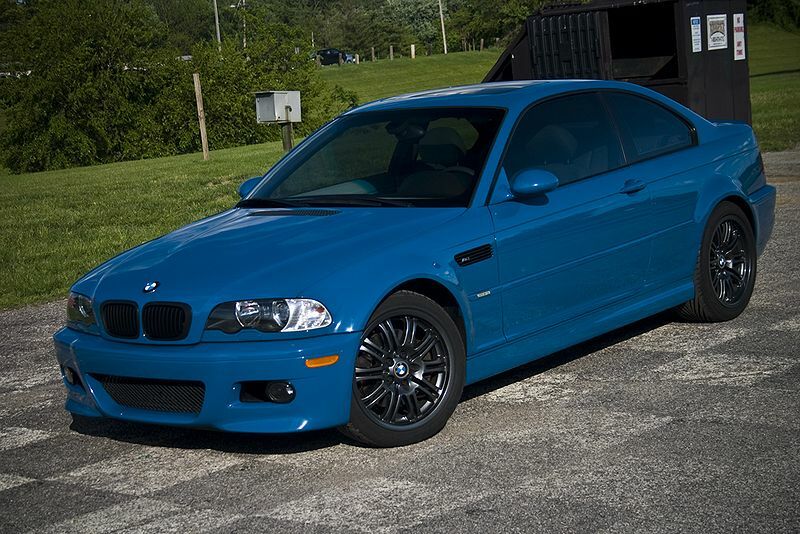 And the colour I want, Laguna Seca blue, was dropped from 2005 so that renders the newer ones unacceptable. 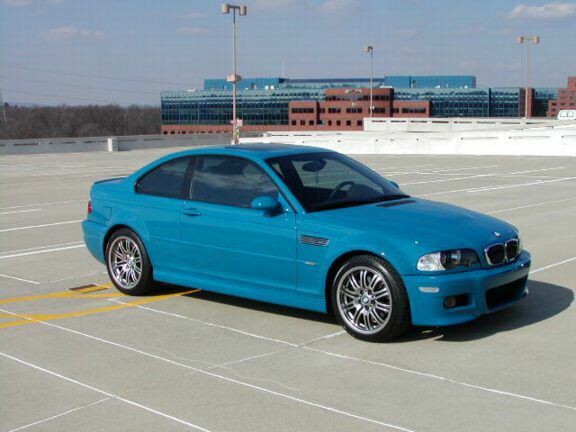 This was the launch colour for the E46 M3 and, despite it’s garishness, I love it. No-one will notice a black M3 but, in the brief moment before they are rendered blind, everyone notices LSB! 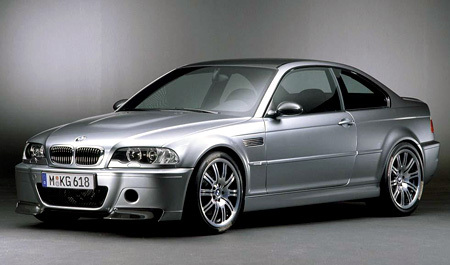 In addition to the standard M3 there was also an M3 CSL (coupe sports lightweight) version offered in 2004. This is a more collectable model because of its rareness (only 1,400 were produced) and is thus much more expensive if you can find one. They are also not really driveable as an everyday car because of the racing style seats, lack of sound-deadening, and lack of airconditioning, radio etc. Very interesting if you see one though. They can easily be spotted as they had an unpainted carbon-fibre roof. Prices: In Germany from around 20,000€. In Australia from around $70,000. NB: Unfortunately due it not yet being an old-timer it is not possible to import these as left-hand drive to Australia.